A freestanding electric fire, the Dimplex Cheriton is a ‘flat to wall’ design, finished in a black and brass effect for a more traditional home environment. 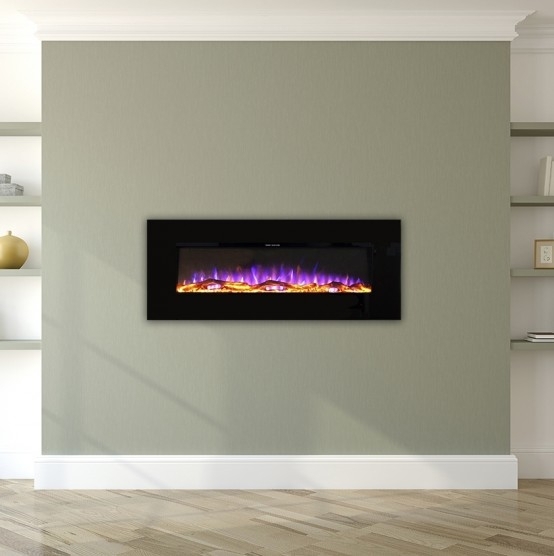 With unique Optiflame® technology, and real coals, the Cheriton creates the feel of a real fire without the need for a chimney or a fireplace. 2 kW fan heater with the option of 2 heat settings. Includes the choice to use Flame effect without heat. Apologies for any confusion - I can confirm this electric fire model is LED. What is the electricity consumption using flame effect only? It promptly arrived from gr8fires. Although we use it for just the beautiful flame effect, it will give out good heat in an emergency. Fire looks good, easy to operate and the remote is handy. You need to position the coals yourself, but this is very easy although there is a bit of dust. Delivery was excellent and well packaged. My fire looks very nice and is very warm, very pleased with my purchase. Dimplex Cheriton LED Freestanding Optiflame Electric Fire. Was rather apprehensive buying this Electric ire on-line without seeing it in person, but read lots of good reviews. Very happy with my new fire, excellent delivery service and very helpful delivery lad who carried my Fire up a flight of stairs, very polite and courteous! The Fire is excellent (so far) I was concerned it may be noisy but am pleased to say its very quiet, lovely soothing cosy flame effect and throws out great heat. Looks so nice now in place. Why did I wait so long to order from Gr8Fires? I would definitely use again. Very happy customer. Handy little remote to turn on/off too! Very easy and quick to install. This first class product is exactly what I wanted, the price was unbeatable and the service delivery excellent. Excellent product which gives realistic flame effect operable without two stage heating needing to be switched on. This fire is exactly what I wanted, it looks good and solid. I haven’t used it yet as it’s summer, it is for use occasionally when central heating is faulty, I know I will use the flame effect in the winter to give the room a cosy feel I ordered the fire on a Sunday and it was delivered on Wednesday, very efficient service! Looks like the real thing, electric fire that’s has very effective flames and coals. Looks fab in the evening when putting my feet up and great price too. The remote was damaged when it arrived but was promptly replaced with in a few days with no problems at all, highly recommend this fire. I've installed many of these, they are great for covering the mess old fires leave behind and they look smart too. Excellent fire, super realistic flame effect, heating very good. gr8 fires were very good to deal with and an excellent delivery time. Excellent value product, exactly what we needed for a job, great customer service and delivery.Will be purchasing the same product in the future. I purchased one of these many years ago . As it recently stopped working, we decided to get a replacement. We are a little disapointed as the flame effect is not as realistic as the original. Izzy Williams. Gr8fires deliver excellent service. Everything from initial enquiry to delivery was outstanding. The fire is also very good. I wish that more retailers were as good. I got this fire for my mum who needed a fire to cover the whole where her old gas fire had been. The measurements were perfect. Quick delivery and looks great. We looked at shops and large retail stores but they don’t keep many in stock. My mum was concerned about not being able to see the fire before she bought it but was really pleased when it arrived. Great fire for the price. I would recommend this company. Very happy with this purchase and the service from the retailer. Good email communications with confirmation of order and delivery updates. Item arrived well packaged and intact. Item now installed and all working fine. Very good fire for the price. Good delivery. Lovely fire ordered after my old dimplex fire broke . Fits perfect with my fireplace, remote control too. Ordered and delivered very quickly with no problems . Delivered on day promised. Fire looks great and gives a cosy feel to the room. Love this fire. Looks great. Excellent service. Lovely fire and gr8te service. Unbeatable value for money and good quality stuff. Absolutely brilliant and realistic fire. Best I have bought so far. Very good value for price range. I recommend it. I am more than pleased with this fire. Yes, apart from the 'real coal, it is a fake fire, but very well designed for the price range. The generous surround means it covers any open back chimney area. The flame effect is convincing and it has improved the comfort and atmosphere of my living room greatly. The adjustable thermostat allows good control of the fan heater which then switches on and off accordingly. Fire was for an elderly relative so delighted with the speed of delivery. Fire looks great and good value for money. Ordering on line was quick and easy,delivery was on the day as stated in emails.The fire was a great price cheapest I could find.Had a query over the fire ordered which was sorted by email,will use this company again. Very impressed from start to finish.Fire is lovely and gives a warm cosy feel to the room.Just plug in and go.Delivery was excellent and exactly when we were told it would be.Very happy with this product especially for the price.Would recommend. Bought this to replace my mother’s 35 year old Dimplex which she was reluctant to part with. She loves this fire and at 84 years old finds it easy to operate. I was impressed with the price and super fast delivery from this supplier and feel much happier that she has a quality and safe fire in her home. Thank you. Beautiful fire bought to replace a gas fire.Looks very effective. Over the moon with this fire! Only wanted a centrepiece for my room not for heat and it looks great as the coal effect looks so real. Delivered when they said it would be. Lovely Fire very pleased it looks so nice on a cold night, the flames look so effective nothing but good comments on this fire , very fast delivery A1 all round . Delighted with product and service. My fire arrived even before email advising me of delivery. Great price, local stores were quoting £70 more! I love the real coals and the inclusion of plastic gloves to help install them was a thoughtful and efficient touch. I would recommend this company without hesitation! Really pleased with the flame effect on this fire the best I have seen and according to the label on the back of the fire Model CHT20 Series J is 1800-2000 watts and the Lamps are 4 x 1 watt. So hopefully with just the flame effect this fire will use very little electricity which was what I was looking for. Delighted with the product, price and efficiency of the company. Happy to recommend Gr8 fires..
Gr8 fire Gr8 Service. Many thanks.. Very good price and delivery was extremely fast. We were very impressed both with the fire and the quality of service. We were worried whether or not the quality of this fire would be to our liking and actually there was no need to worry. Looks first class in our lounge. Excellent price fore a fire that looks and works so great. Only need it on chilly nights before we put our central heating on for autumn/winter. Great service such a quick delivery. We've only used on 1kw you don't need anymore really. At first you hear the fan but sort of blocks out when TV on or something else going on. We love it!!! The Dimplex Cheriton LED Freestanding electric fire is the best flame effect fire I have seen, Its quite and with the remote control very easy/convenient to operate. The real coals make look very real. I had previously had a gas fire which needed replacing. I decided on replacing it with an electric fire as it would be easier to fit and not require an annual safety check. The fire I bought arrived within a few days of ordering, it was well packaged and according to the specification. I am very pleased with the service I received from gr8fires and would recommend them to anyone considering a new fire. This fire is excellent, it's flame effect brightens the room making it very cheery and homely. It’s remote control is great, don’t have to leave the chair to switch it on. The price we paid was well below the shop prices. It was delivered very quickly with a tracking number. I will shop and recommend Gr8fires. Thank you. This is my second dimples fire & it's even better than the first. It runs really quietly on "glow only " & the flames are very realistic. It even has a remote control. Delivered really promptly too. I did a lot of researching before I decided which fire I wanted. Once I'd decided I then looked at various suppliers, I found GR8 Fires to be by far the cheapest, their website provided easy access with stress free and secure payment options. Delivery was made within four days, I was kept up to date with emails and given a 1 hour slot which meant I didn't have to hang around all day. I am a very happy customer and have no problem recommending GR8 Fires. The fire is perfect as well. Fast delivery. Competeitive price. The flame effect is realistic and the fire looks smart. I purchased this item from Gr8fires and I am very satisfied with the item. After doing a lot of research, Gr8fires came out as the cheapest and their telephone sales were perfect. I would certainly recommend them for their great telephone sales, pricing and delivery. You wont go wrong with Gr8fires! Excellent service and price, Highly recommend gr8fires. Very pleased with the product and swift service. I am so delighted with my new fire. The delivery was first class. The fire is all it was made up to be. In the couple of weeks I have had it its been so admired and a great heat comes from it. I would advise anyone to deal with your company. We bought this fire fir my mum who is so thrilled with it. She love how realistic the flames look and could not be happier. Great fire. Very realistic, warm, transportable and good value for money. I am thrilled with this fire, it looks so effective and lots of visitors have commented how lovely it looks; the flame effect is very realistic. I was a little disappointed in the first couple of weeks as I could hear an annoying repetitive noise coming from the fans but that has now reduced to hardly audible; I assume it was just 'bedding in'. On the whole I would highly recommend this fire to anyone. We have been doing quite a lot of renovation too and this fire is light enough to unplug and move around if needed as it's totally free-standing. excellent service and great product- price even better ! We bought this fire to replace an old fashioned gas fire and wanted one that would cover up the hole left by the old fire. Because this fire has a large surround it did the job admirably. Delivery was brilliant. Looks lovely and couldn't be more pleased. Thank you. Delivery man was very polite and efficient and offered to carry to wherever I wanted. Cannot recommend this company and product enough............................delighted. Excellent service had researched fire so only needed to purchase,polite telephone order line ,delivery confirmed by text and email and delivered within time slot allocated. Excellent service have already recommended to family and friends. I purchased this fire for my elderly mother, to replace one she had bought about twenty years ago. As the delivery address was different to my own and also the name at the top of the address was different I had to ring gr8fires. I was immediately able to talk to someone in this country who was polite, helpful and very approachable. The fire was delivered on time by a friendly driver. I had been sent a text and an email to let me know when it would arrive. My Mum was delighted by the look of the fire and she said the whole experience had been stress free. Everyone who visits her comments on how nice and cosy it looks. She continues to enjoy it. Thank you. I would recommend this company to everyone. Excellent product. It has replaced a gas imitation coal fire. This became difficult to use as I am 82 and found it awkward to bend down to light it. Fits into the fireplace perfectly, looks great and so easy to use. Although I have only had it a short while, my gas energy consumption has reduced significantly already. Thank you for your prompt delivery. I did a lot of shopping around and reading reviews on the dimplex cheriton optiflame, this LED version seems the better of the two versions of this fire. The other one takes bulbs which according to most continue to blow and it's a hassle to change. I bought from this site and they were excellent, fast trackable delivery and an LED for much less than the standard cheriton at all places, couldn't find a better deal anywhere on a new fire, I would personally recommend this seller, the fire performs as stated, the fans are no noisier than any other fan heaters, I bought this mainly for the flame to add character to the room. Arrived as expected..really pleased with looks quality and price. Excellent value, discovered it was a higher spec as what was described, well pleased, delivered ontime. Really pleased with this fire, looks great and flame effect is realistic. Delivery prompt. Will look here again if I need another fire. excellent value . very pleased with the fire. good price too . Purchased this fire for my mother in law (in her late 80's) and she is absolutely "over the moon" with it. 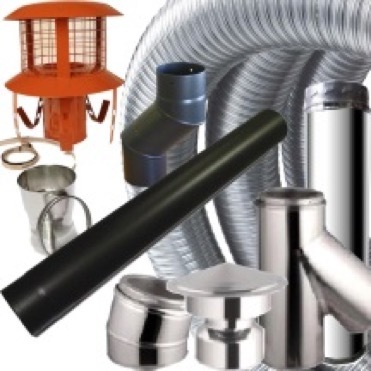 Excellent product combined with equally excellent service and at the best price by a significant amount. The product specification on the web site is in fact incorrect in that it states "NO" against remote control and thermostat and it was therefore a real bonus to find that the one supplied included both of these features! Good quality, well priced fire. I bought this for my elderly father who has poor sight. He finds it really easy to use and it looks very impressive. It's solid and sturdy, exactly what's needed for someone of his age. I'm very pleased with it. Very happy with my new electric fire. It makes the room look cosy just with the flickering flames even without the heat. excellent delivery and excellent price. Would recommend it to anyone. Brilliant service, kept informed all the way and the fire is a steal at the price. Very Very happy. Very pleased with this fire. It looks very smart in the fireplace and heats the room very quickly. Great service from gr8fires. Fire received promptly as promised. Very pleased ,would recommend this company . The Cheriton Optifle fire exceeded my expectations the coals and flame effect are so realistic. Truly great value for money. From selection to delivery it was so easy. I would use GR8 again. All round a great purchase. Perfect for what I needed. Just placed in position, plugged in and bingo, a nice warm room. Service from gr8fires was excellent too. We are very pleased with our purchase. Communication about the delivery day and time was excellent. The fire looks more expensive than what we paid, a lovely looking fire, it as really made a difference to our front room. The heater really throws out the heat and the flame display makes you feel warm even when the heaters not switched on. Lovely fire, looks so realistic, just plug in and go. Really good price and couldn't believe how quickly it was delivered. Would definitely use GR8 again. Gr8 fire very stylish two settings for heat very powerful. A fair price for the product. Very realistic flame effect. The 2 levels of heat are very efficient and warmed up the room quickly. Extremely easy to install: just plug in and it works straight away. It looks very smart in my living room. I am very pleased I bought this Dimplex Cheriton Electric fire and can highly recommend it. The delivery was time was punctual. Overall I am pleased with this product. Really nice looking fire at a great price. Very easy to set up. Delivery was quick and efficient! Would recommend Gr8 fires! Fire as described, bought mainly for the flame feature, but great to give room a boost of heat. and going to be useful throughout the year when central heating not on but just want to warm the room very happy all round. Good quality fire for the money, pleased with it .Delivered when promised good service. I am very pleased with my purchase from you, the fire is briliant when its switched on it looks just like a real coal fire, and makes the room very cosy. It was also good value for money as well, in fact I was so pleased with my purchase that I rang them up and told them so. Very pleased with our Dimplex Cheriton electric fire purchased from GR8fires. Excellent delivery service and good value for money. Looks lovely just what we were looking for. Would definitely recommend this company very good service. Very pleased with the fire. Lovely glow, makes me feel warm . Excellent service. 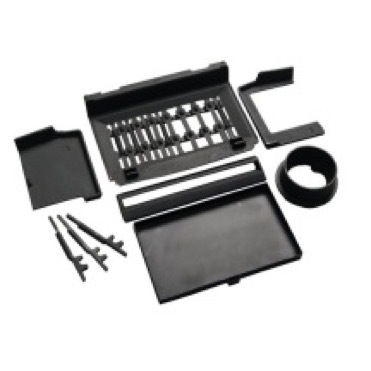 this purchase was easy and without problems, a great product and could not find a better price anywhere, my order arrived within 3 days,which I thought was brilliant. I would not hestate to recommend this company to anyone, Many thanks Garyth. and that makes the wife happy, very happy and recommend this product to anybody. This fire ticks all the boxes. I am very pleased with it and the Gr8t fire Company from whom I purchased it. Delivery service came at time stated. Excellent service and product as expected. Fast and reliable service, would recommend. This is a nice product --- does exactly what it says -- good competitive price and good service from GR8 Fires. However, be aware that it uses standard 60W E14 bulbs --- there is an upgraded model CHT20LE which uses LED bulbs and has remote control --- but it costs more ! its perfect to unplug and carry upstairs. A good deal worth every penny. Very pleased with this electric fire. It was easy to set up (half an hour max) and has a pleasing flame and glowing coals effect. The fans are a little noisy, this was not unexpected, but the fire was bought mainly to have as a focal point in the room. The fan heater for us is an added bonus and has been used to heat the room whilst the central heating came up to temperature. Delivery was within the specified time and luckily we were at home when the package was delivered. We don't use mobile phones, so did not receive any info for a time slot as when to expect the parcel - I think that it would have been useful to be able to log on to the carriers website with a code to see the progress of the delivery, rather than being prepared for up to three days. I would be happy to recommend the company to friends and relatives should they require a new fire. First time buyer from this company, I was wary but proved to be very satisfied. Product is just what I was looking for. Sits on my existing fireplace perfectly and just the flames makes my room feel warmer! A nice fire and am really pleased with it . Very fast delivery and a good price, thank you very much. The first fire was faulty after two weeks of working okay, found out that it should have a thirteen amp fuse, but this one had a three amp one! Replaced fire and this one working okay at the moment! Hopefully will continue to do so. Very happy with the fire. Flame effect is excellent, heat output is satisfactory and the noise of the fan is acceptable. Price and delivery from Gr8fires couldn't be bettered. Really pleased with the fire. Cheaper than other retailers and very prompt delivery even though just before Christmas. I am very happy with the new Dimplex Cheriton Freestanding electric fire & glad that I called for advice regarding my choice. I am totally satisfied with the Cheriton, the heat it generates & the realistic flame effect & glow from the coal. The price paid was much lower than the big stores offering the same electric fires. Service & delivery was excellent. Delighted with quick delivery. The fire is the centrepiece of my sitting room & the realistic flame effect creates a suggestion of warmth without the heating elements even being switched on. I fully recommend this fire to those considering purchasing. Very pleased with the ordering process and delivery information. The product was delivered on time and in good condition. Very fast delivery, wooks great and looks great and was delivered boxed up with no damages to goods or box. Well worth the money, if need something next time will use Gr8 fires. Prompt efficient service. Only gave 4 stars for delivery as when I was informed of when the delivery was going to be I changed the delivery date, got an email confirming change and then the fire was delivered on the original date! Did lots of reviews on this fire as it was to replace a gas fire. Love the flame effect makes the home really cosy. Fan is a little noisy but not a problem just plug in and go. Reviewed lots of companies and this came out cheapest. Very pleased with delivery. Is class all round. Delivery was efficient, the driver was polite. Setting up was easy, took the coals into the garden to sieve out the dust. It is much neater than the previous electric fire and warms up very quickly. Good price,good service,happy with fire.First fire arrived damaged.Return and replacement dealt with satisfactorily. No hesitation in recommending this retailer to friends. Absolutely delighted with my fire. It's better than the real thing. A lookalike real fire at the flick of a switch. Driver put parcel in the room I wanted as it was very heavy. Very pleased with all aspects of the service from GR8fires.Competitive price; Fast delivery; Excellent product. Would recommend this product and GR8Fires. A very seamless purchase. Delivered very quickly. Would not hesitate to recommend to anyone. Good, was delivered within a week of ordering, seems to be working fine... Not been cold enough yet to test it's effectiveness though but the fire effect is cosy enough! I am delighted with my purchase.Prior to purchasing my Dimplex Cheriton Freestanding Optiflame Electric Fire I searched several sites as I particularly wanted this model.I am very happy with all aspects of your service from ordering to delivery and to top that gr8fires.co.uk were much CHEAPER . What's not to like ? I am really really pleased with the quality of my purchase. I read the reviews on line before purchase and a lot of people were saying that it brought a cosy feel to the room just by having the flame effect on. As if, I thought but it's true. The heater itself is very effective and quiet. It looks like a fitted fire. I don't think anyone would think it was free-standing. The ordering on line was very easy, the product arrived so quickly and the price was the best I could find. I would definitely recommend to others. Very prompt delivery service would recommend this company to family and friends. mynew Dimplex fire is excellant value for money cheapest Ihave found around Liverpool. very pleased with our fire and quick delivery. very pleased with the fire. Ordered on the Thursday late, delivery on the Monday at the stated time. The flame looks very real , with the coal effect it looks almost like a real fire. It fits well into our fireplace. Not sure how your "star" system works, so one to me is the tops! The fire is superb in both quality and looks. we couldn't have made a better choice. A bit hesitant to buy initially but how pleased we are to have purchased the 'Cheriton' now. A very attractive and impressive fire which looks far more expensive than the price we paid. Really pleased with the fire. Easy to install. Very sleek and clean looking. Makes our lounge look bigger and with just the red glow on very cosy. Only really use the Cheriton fire for glow/flame effect - which is excellent giving room a warm/cosy feel. Rice was exceptional compared to other suppliers. Only criticism - changing bulbs looks longwinded and messy as you have to remov e the coals. 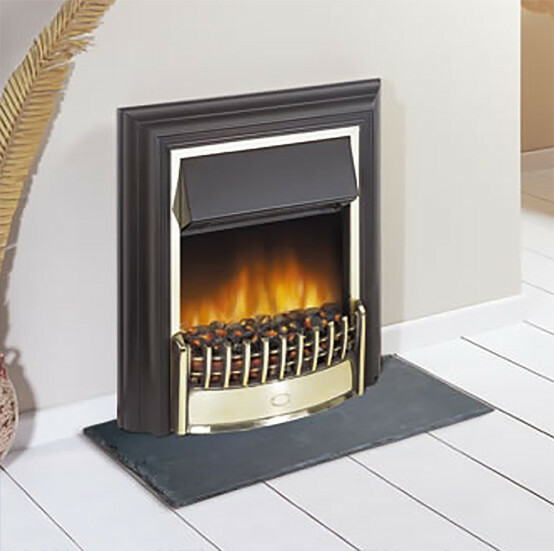 Dimplex Cheriton Freestanding optiflame electric fire. This fireplace is an excellent addition to our lounge, looks good ,works well and was delivered before our expected time . All in all an excellent experience, good product and excellent service. Just what was required, good quality, best price and delivered on time. Excellent service, fast delivery, and a price that could not be matched . An excellent product -impressive fire effect and silent in operation without heater on. Noisier than I would have preferred when it is on. From first to last this was a good buying experience. An excellent product, the coal effect gives a lovely warm feeling, fan not too obtrusive. Delivery was bang on time. My fire was delivered very quickly. the service was great and the price was very competitive. Will use this company again. i am delighted with my Dimplex Cheriton Optiflame Electric Fire which i purchased just a few weeks ago, It looks great as a feature and the flame looks so real, i have had many people admire it and ask me where i got it from . it is really warm when it is on i could not ask for more and considering the price i feel i have really struck gold . I SAW THE VERY SAME FIRE ADVERTISED IN ARGOS AND A FEW OTHER PLACES AS I DID MY RESEARCH AS I ALWAYS DO ,AND I SAVED £25 BUYING THIS ONE FROM GR8fires.co.uk ,the service was quick and i have had no problems with this company at all ,i would definately use them again in the future without hesitation . The delivery was perfect, I was very impressed once it was installed into my living room. It is gorgeous and I can have just the flame effect without the heat. I would recommend this fire. My mum was delighted with her fire, it is very realistic. As she is chair bound, she finds it a very cosy focal point. Chose this fire for our new house as it matched the existing fire surround. Never had an electric fire before but have to say very pleased with both looks & level of heat output. So far so good, excellent service, delivery and product......"Long may it continue." Delivered quickly and safely. We are delighted with our new fire which provides a very realistic coal fire, all the benefits but none of the hassle. The lovely red glow from the fire makes the room look so cosy with what appears to look like smoky flames rising up. Altogether a very clever invention and I would certainly recommend it. I am very pleased with the two fires I bought. Quality is top for the price. Delivery was rapid and prompt. The fires look good and feel warm even with just the coal effect on. A well made fire that looks absolutely lovely. I've never used the heater yet (it is hot though) but I do have the flames on all of the time and believe me, it's incredibly cozy, you won't be disappointed if you're thinking of buying one. This fire is exactly what I wanted. It's in my dining room, and provides extra top up warmth when needed. I'm amazed at how easily I'm fooled into thinking I get warmth just from looking at the flickering, glowing coals (real coals, don't you know) even when the heat isn't on. It was really easy to assemble . Great looking fire, very pleased with the service and speedy delivery. The fan is a little bit louder than I expected but I am still pleased. this was a replacement for a very old Dimplex fire that had been given to me many years ago by family, I must say I am delighted with the new one I show it off to everyone that visits and they all agree it is lovely. Being very elderly and in the far past being used to the real coal fire it brings back many happy memories without the drudge of cleaning out ashes and chimneys, one of the best bargains I have bought , I find it so cozy and can watch for ages. setting up was easy and the coal was an added bonus and delivery was fast with a very cheerful delivery driver. Excellent service and gr8 fire!! I purchased this fire for my elderly aunt. She needed something that was easy to use but cosy to look at. This fire is just what she wanted. The controls are easy to use and the glow effect can be used without heat to give a cosy feel to the room. Great price and gr8 fire. Thank you. This replaced a Valour fire which cost over £400. That is money for nothing. This fire has a build quality, flame effect ( the Valour was a hologram with LED none replaceable lights )which is far superior to the Valour. This fire has ,real coals, and a burning glow beneath them. A very easy 3 switch system. The next thing to consider is the cost. GR8 fires are the people who sell this fire the best price. I wish I had read the reviews before I parted with £450 just 2 years ago. Very pleased with the Cheriton Optiflame fire. Fantastic coal and flames effect. Sits beautifully in my fire surround. Excellent price for a very classy looking fire. Great service and fast delivery. Definitely recommend both the fire and the company. I find the dimplex cheriton fire, a quality product, very good value, also it was delivered very promptly, all in all a good bit of business. Fabulous item. The Cheriton optiflame electric fire is fantastic. The optiflame is so realistic, when arranging the real coal provided I thought I was going to get burned. This fire is very smart looking and is just like a real open fire. You cannot go wrong with this fire especially at such a great price, it's the cheapest around. Believe me I looked everywhere. The Dimplex Cheriton freestanding electric fire is superb. 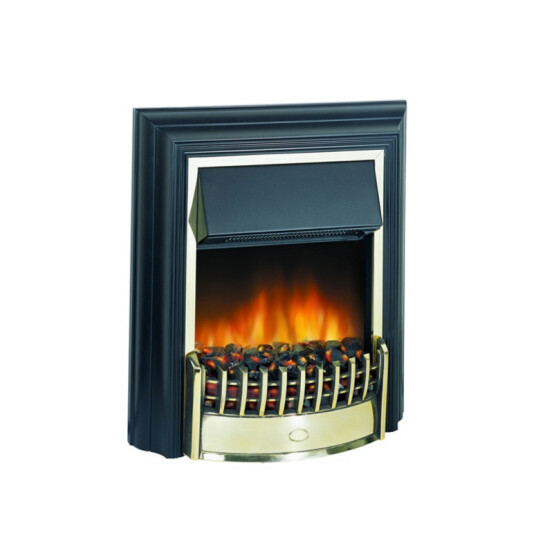 It has the optiflame effect which is amazing, it is so like a real open fire without any of the mess. In fact whilst arranging the coal with the glove supplied, I thought it was going to be hot. Great service from GR8 fires and all with free delivery. The fire looks warm and welcoming in sitting room and is as good as having a real coal fire. The service and delivery were first class. The fire was for my elderly mother-in-law and she is absolutely delighted with it. Actually looks better in the flesh. i am delighted with this electric fire. it looks lovely, a traditional looking fire place that gives warmth and colour. The electric fire arrived within 3 days. It adds a cosy glow to the room. I am very happy with both the fire and the service I received and would certainly use your company again. 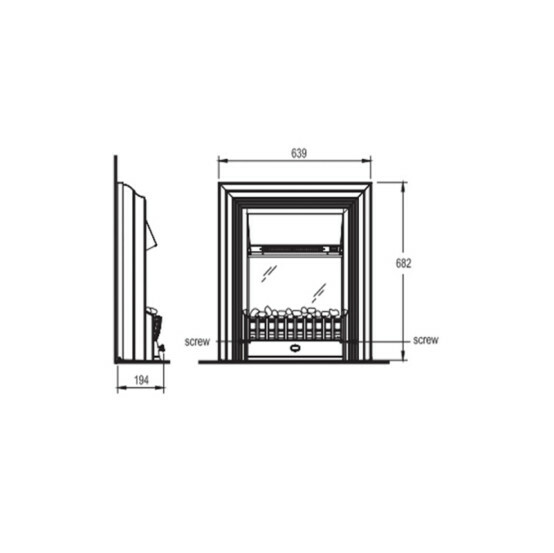 Very nice product and is very good as a supporting fire with radiators room 16x14. Easy to install because it has a flat back and I had it up and running within 10 minutes. Excellent fire the most quitest we have heard flame effect stunning, out put good what more can we say good value for money. GR8 where excellent no problems at all from ordering to delivery would highly recomend them!!!! The fire is excellent, and the flames are extremely realistic. The price and serive were brilliant. We have seen several fires the same, but none have been such a low price. One fire that we saw in a local garden centre was £91 more. Thankyou for the great price and service. first class service, and first class product. Love this fire. Very warming effect when only lit. Looks just like a real fire. Best price I could find and arrived super quick. So easy to set up. Would definitely recommend this company. Very happy with an excellent product. So simple to setup. A superb and efficient service by GR8 fires. Would not hesitate to recomend them to others. Gr8 fires provided an excellent service, accepting a delivery to an alternative address, being my mothers home address, this was a gift. My mother has been delighted with the fire, a quality product from a quality on-line retailer. Communication was excellent throughout the process - they can be judged as a reliable and competent retailer. i found this electric fire an excellent buy it was exactly what i was looking for.in searching for this electric fire i could not find it anywhere else at this price.the fire itself does what it was bought for and the optiflame effect is superb all in all a very good product at an excellent price . yours truly a satisfied customer.